John Green's The Fault in Our Stars meets Rainbow Rowell's Eleanor & Park in this darkly funny novel from the critically acclaimed author of The Beginning of Everything. Up until his diagnosis, Lane lived a fairly predictable life. But when he finds himself at a tuberculosis sanatorium called Latham House, he discovers an insular world with paradoxical rules, med sensors, and an eccentric yet utterly compelling confidante named Sadie—and life as Lane knows it will never be the same. 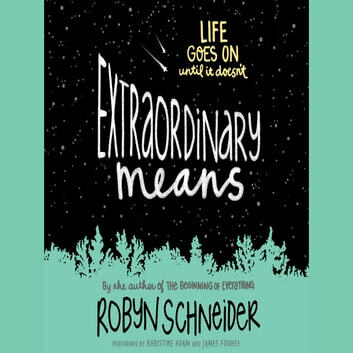 Robyn Schneider's Extraordinary Means is a heart-wrenching yet ultimately hopeful story about the miracles of first love and second chances.